P. Liu and L. Zhang, "Adsorption of dyes from aqueous solutions or suspensions with clay nano-adsorbents," Separation and Purification Technology, vol. 58, pp. 32-39, 2007. T. Shichi and K. J. Takagi, "Clay minerals as photochemical reaction fields," Journal of Photochemistry and Photobiology C: Photochemistry Reviews, vol. 1, pp. 113-130, 2000. R. G. Harris, J. D. Wells, and B. B. Johnson, "Selective adsorption of dyes and other organic molecules to kaolinite and oxide surfaces," Colloids Surf. A: Physicochem. Eng. Aspects, vol. 180, pp. 131-140, 2001. M. G. Neumann, F. Gessner, C. C. Schmitt, and R. J. Sartori, "Influence of the layer charge and clay particle size on the interactions between the cationic dye methylene blue and clays in an aqueous suspension," Journal of Colloid and Interface Science, vol. 255, pp. 254-259, 2002. D. Ghosh and K. G. Bhattacharyya, "Adsorption of methylene blue on kaolinite," Applied Clay Science, vol. 20, pp. 295–300, 2002. A. Pala and E. Tokat, "Color removal from cotton textile industry wastewater in an activated sludge system with various additives," Water Research, vol. 36, pp. 2920-2925, 2002. M. A. Al-Ghouti, M. A. M. Khraisheh, S. J. Allen, and M. N. Ahmad, "The removal of dyes from textile wastewater: A study of the physical characteristics and adsorption mechanisms of diatomaceous earth," Journal of Environmental Management, vol. 69, pp. 229-238, 2003. G. Atun, G. Hisarli, W. S. Sheldrick, and M. Muhler, "Adsorptive removal of methylene blue from colored effluents on fuller's earth," Journal of Colloid and Interface Science vol. 261, pp. 32-39, 2003. A. G. Espantaleon, J. A. Nieto, M. Fernandez, and A. Marsal, "Use of activated clays in the removal of dyes and surfactants from tannery waste waters," Applied Clay Science, vol. 24, pp. 105-110, 2003. J. Orthman, H. Y. Zhu, and G. Q. Lu, "Use of anion clay hydrotalcite to remove coloured organics from aqueous solutions," Separation and Purification Technology, vol. 31, pp. 53-59, 2003. N. K. Lazaridis, T. D. Karapantsios, and D. Geogantas, "Kinetic analysis for the removal of a reactive dye from aqueous solution onto hydrotalcite by adsorption," Water Research vol. 37, pp. 3023-3033, 2003. A. Gürses, Ç. Doğar, M. Yalçin, M. Açikyildiz, R. Bayrak, and S. Karaca, "Determination of adsorptive properties of clay/water system: Methylene blue sorption," Journal of Colloid and Interface Science, vol. 269, pp. 310-314, 2004. N. Al-Bastaki and F. Banat, "Combining ultrafiltration and adsorption on bentonite in a one-step process for the treatment of colored waters," Resources, Conservation and Recycling, vol. 41, pp. 103-113, 2004. A. S. Özcan, B. Erdem, and A. Özcan, "Adsorption of acid blue 193 from aqueous solutions onto Na–bentonite and DTMA–bentonite," Journal of Colloid and Interface Science, vol. 280, pp. 44-54, 2004. O. Ozdemir, B. Armagan, M. Turan, and M. S. Celik, "Comparison of the adsorption characteristics of azo-reactive dyes on mezoporous minerals," Dyes and Pigments, vol. 62, pp. 49-60, 2004. M. Alkan, S. Celikçapa, Ö. Demirbas, and M. Doğan, "Removal of reactive blue 221 and acid blue 62 anionic dyes from aqueous solutions by sepiolite," Dyes Pigments, vol. 65, pp. 251-259, 2005. C. Bertagnolli, A. L. P. Araujo, S. J. Kleinϋbing, and M. G. C. Silva, "Evaluation of Brazilian organoclay synthesized in the laboratory and commercial," Chemical Engineering Transaction, vol. 24, pp. 1537-1542, 2011. S. Babel and T. A. Kurniawan, "Low-cost adsorbents for heavy metals uptake from contaminated water: A review," Journal of Hazardous Materials, vol. 97, pp. 219-243, 2003. M. Alkan, Ö. Demirbaş, and M. Doğan, "Removal of acid yellow 49 from aqueous solution by adsorption," Fresenius Environmental Bulletin, vol. 13, pp. 1112-1121, 2004. R. A. Alvarez-Puebla, D. S. Dos Santos, C. Blanco, J. C. Echeverria, and J. J. Garrido, "Particle and surface characterization of a natural illite and study of its copper retention," Journal of Colloid and Interface Science, vol. 285, pp. 41-49, 2005. F. Ayari, E. Srasra, and M. Trabelsi-Ayadi, "Characterization of bentonitic clays and their use as adsorbent," Desalination, vol. 185, pp. 391-397, 2005. P. S. Nayak and B. K. Singh, "Instrumental characterization of clay by XRF, XRD and FTIR," Bulletin of Materials Science, vol. 30, pp. 235–238, 2007. E. S. Nweke and E. I. Ugwu, "Analysis and characterization of clay soil in Abakaliki Nigeria," Pacific Journal of Science and Technology, vol. 8, pp. 190-193, 2007. S. D. Abayazeed and E. El-Hinnawi, "Characterization of egyptian smectitic clay deposits by methylene blue adsorption," American Journal of Applied Sciences, vol. 8, pp. 1282-1286, 2011. M. Eloussaief, N. Kallel, A. Yaacoubi, and M. Benzina, "Mineralogical identification, spectroscopic characterization, and potential environmental use of natural clay materials on chromate removal from aqueous solutions," Chemical Engineering Journal, vol. 168, pp. 1024-1031, 2011. J. N. Ganguli and S. Agarwal, "Removal of a basic dye from aqueous solution by a natural kaolinitic clay—Adsorption and kinetic studies," Adsorption Science & Technology, vol. 30, pp. 171-182, 2012. E. El-Hinnawi and S. D. Abayazeed, "The suitability of some egyptian smectitic clays for mud therapy," Journal of Applied Sciences, vol. 12, pp. 480-485, 2012. E. P. Barrett, L. G. Joyner, and P. P. Halenda, "The determination of pore volume and area distributions in porous substances. I. Computations from nitrogen isotherms," Journal of the American Chemical Cociety, vol. 73, pp. 373- 380, 1951. Y. Diao, W. P. Walawender, and L. T. Fan, "Activated carbons prepared from phosphoric acid activation of grain sorghum," Bioresource Technology, vol. 81, pp. 45-52, 2002. W. F. McClune, Powder diffraction file for inorganic phase. Philadlphia: International Center For Diffraction Data, 2006. S. Lowell and J. E. Shields, Powder surface area and porosity, 3rd ed. U.K: Chapman and Hall, 1991. G. M. Brindley and I. G. Brown, "Crystal strucures of clay minerals and their X-ray identification, Mineralogical Society," 1980. R. E. Grim, Clay mineralogy, 2nd ed. New York: McGraw-Hill, 1968. A. Amirbahman, J. R. Evans, W. G. Davids, and J. D. MacRae, "Kinetics of cadmium uptake by chitosan-based crab shells," Water Research, vol. 36, pp. 3219-3226, 2002. K. Thalberg, D. Lindholm, and A. Axelsson, "Comparison of different flowability tests for powders for inhalation," Powder Technology, vol. 146, pp. 206-213, 2004. 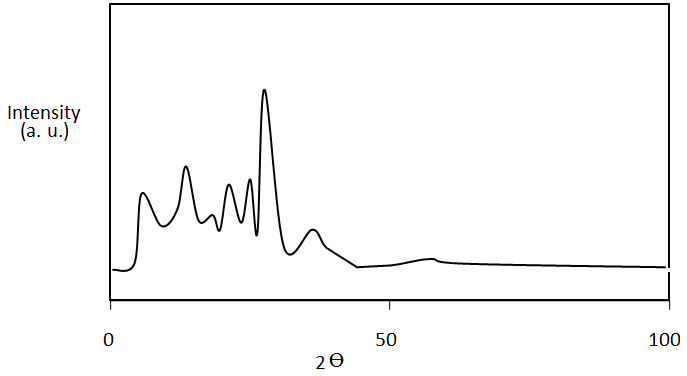 A. Beran and J. Zemann, "The optical constants of hauerite in the visible part of the spectrum," Mineralogia Polonica, vol. 15, pp. 3-9, 1984. J. Y. Farah, Ph. D. Thesis, Faculty of Engineering, Cairo University, Egypt, 2001. D. Ulasoglu, Master Thesis, Removal of Phosphorus from Domestic Wastewater by Basaltic Tephra, Adana, 1995. M. S. El-Geundi, H. M. Ismail, and K. M. E. Attyia, "Activated clay as an adsorbent for cationic dyestuffs," Adsorption Science & Technology, vol. 12, pp. 109-117, 1995. S. Caillere, S. Henin, and M. Rautrureau, Mineralogy des argiles vol. 1&2. Paris: National Institue of Agronomic Research, 1982. N. P. Clothup, L. H. Daly, and N. B. Wiberley, Introduction to infrared and raman spectroscopy, 3rd ed. San Diego, USA: Academic Press, 1990. A study of the characteristics of clay from El-Sheikh Fadl Village, El-Minia governorate in Egypt has been carried out. A crucial factor in the applying clay as a low-cost adsorbent, however, is the understanding of the physical, chemical, mineralogical, and colloidal properties of these clays. The characteristics of texture such as surface area, pore volume, porosity, pore size distribution, particle shape and density were determined. The pore size distribution results showed that natural clay is predominantly mesoporous. 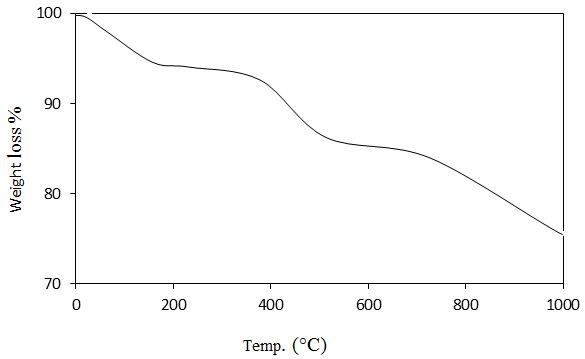 The thermal behavior of clay was studied using differential thermal analysis and thermogravimetric analysis analysis. 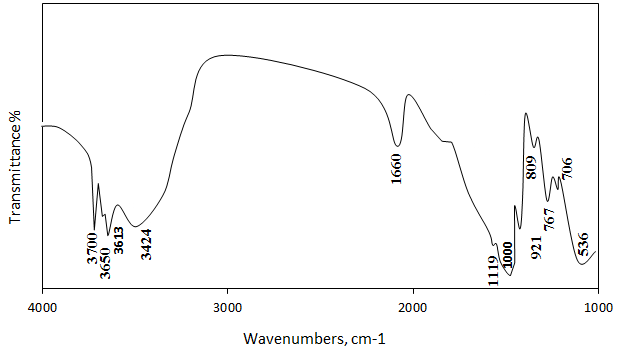 The X-Ray diffraction analysis was performed in order to determine the main constituents of the materials. The X-Ray diffraction analysis verified the presence of kaolinite, montmorillonite and quartz in the natural clay. Then clay was tested for infrared spectra, it confirm the presence of the constituents mentioned above. The structure and chemical composition, exchangeable ion type and small crystal size of montmorillonite are responsible for several properties, including a large chemically active surface area. O. Takashi, I. Norio, S. Tutomi, and O. Yotaro, "Direct dimethyl ether synthesis," Journal of Natural Gas Chemistry, vol. 12, pp. 219-229, 2003. 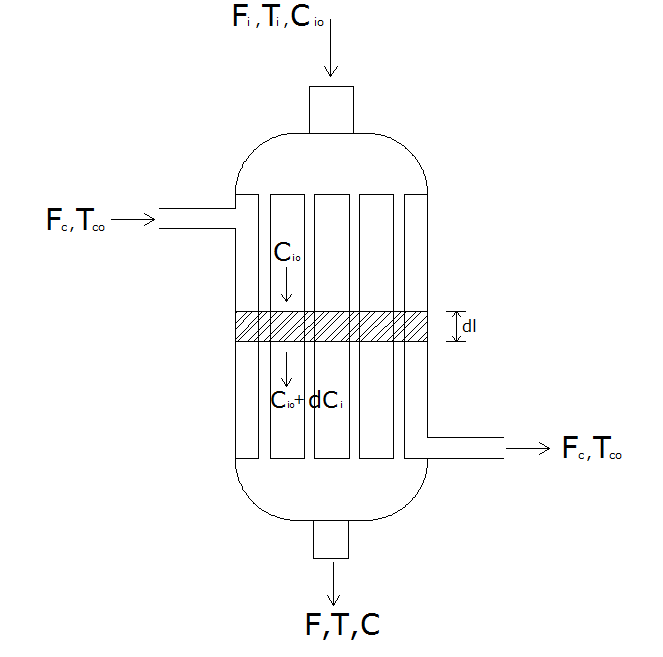 E. Yasari, M. Shahrokhi, and H. Abedini, "Modelling, simulation and control of a tubular fixed bed dimethyl ether reactor," Chemical/ Biochemical Engineering Journal, vol. 4, pp. 415-423, 2010. A. J. Alawode and O. A. Olusegun, "Monetizing natural gas reserves: Global trend, Nigeria's achievements, and future possibilities," Pacific Journal of Science and Technology, vol. 12, pp. 138-151, 2011. M. Farsi, A. Jahanmiri, and R. Eslamloueyan, "Modelling and optimization of MeOH to DME in isotheral fixed-bed reactor," International Journal of Chemical Reactor Engineering, vol. 8, pp. 79-93, 2010. H. S. Fogler, Element of chemical reaction engineering, 4th ed. Delhi: Prentice-Hall of India Private Limited, 2008. M. Shahrokhi and G. Baghmisheh, "Modelling of DME synthesis reactor," Chemical Engineering Science, vol. 60, pp. 152-160, 2003. W. Cho and D. Park, "An innovative DME production method," Korean Journal of Chemical Engineering, vol. 23, pp. 522-524, 2006. E. S. Yoon and D. Song, "Simulation of DME production plant," Industrial and Chemical Engineering Research, vol. 47, pp. 253-261, 2008. G. Bercic and J. Levec, "Catalytic dehydration of methanol to dimethyl ether: Kinetic investigation and reactor simulation," Industrial Engineering Chemical Research, vol. 32, pp. 2478-2484, 1993. P. E. Bruce, H. T. George, G. F. Daniel, R. L. Richard, and W. V. Wilding, Perry's chemical engineer's handbook, 8th ed. New York: McGraw Hill Companies Inc, 2008. 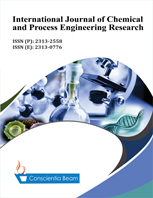 Y. H. Seyyed and K. R. Mohammad, "Modelling of industrial fixed bed reactor to produce dimethyl ether from methanol and determination of optimum operating conditions," Journal of American Science, vol. 8, pp. 218-225, 2012. J. Ki-Won, L. Hye-Soon, R. Hyun-Seog, and E. P. Sang, "Catalytic dehydration of methanol to dimethyl ether over solid-acid catalysts," Korean Chemical Society Journal, vol. 23, pp. 803-806, 2002. A model to predict the behavior of an adiabatic tubular fixed-bed reactor for the production of dimethyl ether using alumina catalyst was developed. The steady state model incorporates the reaction rate kinetic expression obtained from literature into the model equations. The models were integrated numerically using Fourth-order Runge-Kutta method incorporated into a computer simulator (MATLAB 7.7 code). 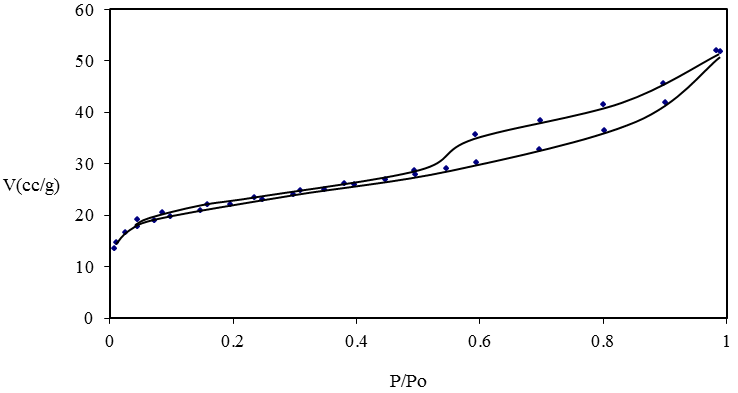 Model predictions are compared with data obtained from the literature under the same operating conditions and a good agreement is obtained with a variation ranging from 0.5% to 2.7%. 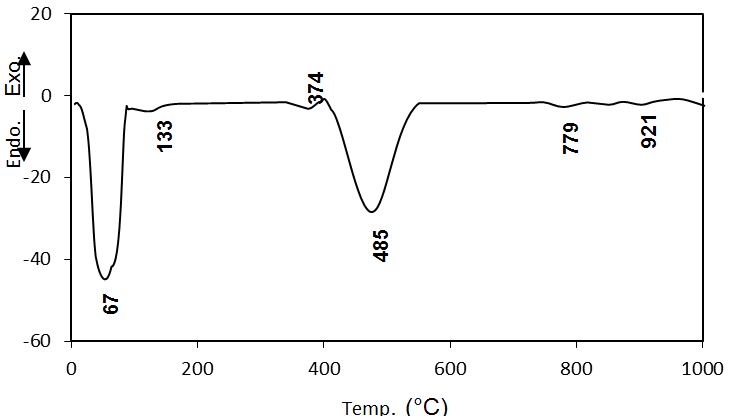 The simulation results show that the production of dimethyl ether is greatly affected by parameters such as temperature, and feed flow rate with optimum yield of DME at a catalyst bed height of 2-4m at a temperature of 557 to 570K. This study contributes in the existing literature by developing model equations that is used in predicting/simulation of functional parameters for optimum yield of DME. Unlike other works which assume isothermal condition, this study assumes an adiabatic condition and could be adopted for simulation of industrial DME plant.